We appreciate your business and value you as a customer. Please take a few moments to review our terms and conditions. Your purchase of products from us constitutes your agreement to follow these terms and conditions and be bound by them. Due to the bespoke nature of our products and fluctuations in the digital printing process and texture of natural fibers, slight variations in the product may occur. 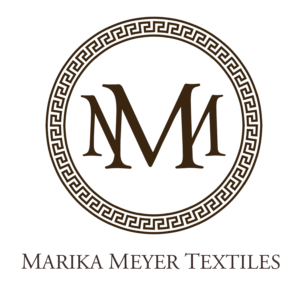 Since fabric batches may vary, we advise that customers request a stock cutting prior to ordering. Goods must be inspected upon delivery for color, yardage and any other irregularities before cutting or treating. We maintain a 15-day return policy. We will not accept returns on any goods that have been cut and/or approved for production. All of our fabrics have natural characteristics due to printing or natural base cloth that are not defects. Returns for these naturally occurring qualities will not be accepted. Any item returned to us will be inspected first. We then will determine if an exchange will be processed, or store credit or refund issued. In accordance with state and local laws, any taxes paid will be refunded. Delivery fees will only be refunded if the item returned is found to have a manufacturer defect or was damaged in transit. Items exchanged for the same item due to reasons other than manufacturer defect/damage may be subject to a restocking fee and redelivery fee in our sole and exclusive discretion. We warrant the products sold hereunder to be free from defects in material or workmanship for a period of [ninety days] from the date of shipment. THIS WARRANTY IS IN LIEU OF, AND WE EXPRESSLY DISCLAIM, ALL OTHER EXPRESS OR IMPLIED WARRANTIES, INCLUDING, WITHOUT LIMITATION, ANY IMPLIED WARRANTIES OF MERCHANTABILITY OR FITNESS FOR A PARTICULAR PURPOSE. The product is not guaranteed against natural wear, abrasion, stretch, shrinkage, fading or dye-lot variations. Notwithstanding anything in these terms and conditions to the contrary, our aggregate liability to you will not exceed the value of the products purchased by you. In no event will we be liable for any indirect, consequential, special or punitive damages, or any loss of profits and you hereby expressly waive any rights you may have thereto. We will not be liable for any delay in shipment, or nonperformance caused by circumstances beyond our control, including, without limitation, act of God, fire, flood, war, terrorism, government action, accident, labor trouble or shortage, or inability to obtain material. All pricing is in US dollars. Applicable taxes according to state and local laws will apply to all purchases. The price and availability of our products are subject to change at any time without notice. We reserve the right to refuse any order of any item for any reason in our sole discretion. Payment in full is due prior to shipping. These terms and conditions shall be governed by the laws of the State of Maryland, excluding those regarding conflict of laws. The parties hereby submit themselves to jurisdiction of the courts of the State of Maryland for any disputes arising out of or relating to these terms and conditions.